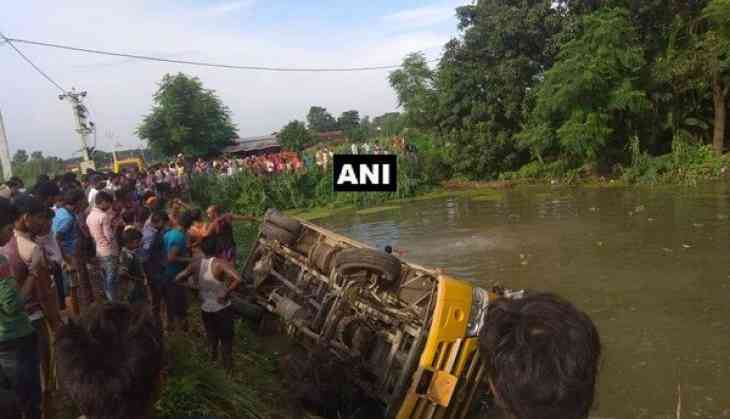 At least seven people died and 10 others were left injured on Tuesday after a collision between two buses in Uttar Pradesh's Aligarh. The Senior Superintendent of Police (SSP) of Aligarh, A. K. Sahani confirmed the incident and aid, "There was a collision between a bus, with a group travelling from Aligarh to Firozabad to attend a marriage, and a commercial bus full of passengers near Madrak police station. Seven people have died and around 10 were injured. The deceased have been sent to a mortuary and injured are undergoing treatment in a hospital." "As per Chief Minister Yogi Adityanath's orders, adequate arrangements for the treatment of injured have been made. The injured were rushed to a district hospital and a medical college for immediate medical attention," Sahani added. When asked about the details of the financial compensation for the deceased individual's families and the injured, the SSP said that the matter will shortly be discussed with the District Magistrate and the details would be announced.